I have been leading organisations for over 24 years. One of the paradoxes of leadership is that when we are invited to take on our first leadership role we do not necessarily have the training and experience to take them on. Yes, you only really get that wisdom and experience by doing the job, but wouldn’t we all have been better off if we’d had some of that learning at an earlier stage? I certainly would. As I moved into more senior leadership roles I realised that leadership is a skill that requires constant learning and practice. Over your career, you will learn the importance of being yourself. Rather than asking: “what is your job?”, ask “what is your personal purpose”. There is a sweet spot for us all where we’re able to secure alignment between our own personal purpose and values, and those of the organisations we work for. This — probably more than anything else — has helped me to navigate a world characterised by volatility, uncertainty, complexity and ambiguity (it might be helpful to remember the acronym VUCA). I feel fortunate to have had roles through my career that have supported my purpose. When things have got really tough, such as when as a director of social services a child on the child protection register dies, or in some of the challenges in the early days at the Care Quality Commission (CQC), having this clarity of personal purpose has been my guiding star. Remembering your purpose will be yours. This is a similar point to the apocryphal anecdote of the US President at NASA when in answer to his question,“What is your role?” the caretaker replied: “To put a man on the moon, Mr President”. Having asked about your own purpose and why you are there, the next step is to consider why your organisation is there, and ask: “What is its purpose?” By this I don’t mean whether there is a vision or a legal definition, but whether there is a statement of purpose that guides your actions and the actions of all staff in the organisation. I have learned that any organisation or system which is not clear about its purpose will fail. Any individual who isn’t clear about their purpose will be dissatisfied, probably anxious and unhappy, and also likely to fail. If purpose is a statement of ‘why’, then values are a statement of ‘how’. It is the behaviour which demonstrates those values that is critical in any organisation. Your values inform your own purpose, but also your behaviour. As a leader, you will be judged not by what you say but by what you do and how you do it. People look for leaders who are authentic, who do what they say and who align their values with their behaviour. Engagement of the workforce is the single most critical component of successful organisations and successful leaders. Successful organisations deliver their purpose and their tasks, but they also attend to the physical, emotional and psychological well being of their people. I think that the most important performance indicator in my position as chief executive of CQC was the staff engagement index score. Read the research The King’s Fund, conducted by Michael West and Jeremy Dawson, which summarises evidence through national NHS Staff Surveys and highlights outcome measures such as turnover, patient satisfaction and mortality. The conclusion gives a clear message that the more engaged staff members are, the better the outcomes for patients and the organisation. I always thought I was good at ‘walking the job’. What I have come to learn is the importance of actively listening to staff: hearing from them what is and isn’t working. Ask staff how they can be supported to be the best they can be and what barriers to this need to be removed, and find out whether you can incentivise, encourage and facilitate them. When spending time with colleagues, notice whether you’re on ‘broadcast’ rather than ‘receive’. Actively listening – and I mean really listening, rather than waiting to speak – is a key skill of leadership. I believe emotional intelligence, not just academic intelligence, is an essential characteristic of successful leaders. It’s the ability to be aware of oneself and others, to self-regulate, and, critically, to be able to see and understand the world from the perspective of others. Of course, it’s not just about engaging with staff: engaging with people who use services is equally important. All of the above applies to the importance of engaging with those people who use services, where the skill of actively listening and the exercise of emotional intelligence are critical. A more distributed, more compassionate approach to leadership is key to the future; a leadership that engages with the energy and passion of its staff. This approach to leadership connects with people’s emotions as well as their thoughts. One of the greatest changes during my 40 years in public service has been the rising importance of the‘culture’ of the organisations and systems we work in. It was Sir Robert Francis’ inquiry report on Mid Staffordshire that really opened my eyes to this issue. When reading it, reflect on the culture of organisations, and critically question your role as a leader and member of a board in shaping it. One of the great challenges of leadership in the public sector is being transparent and open, admitting mistakes in a culture of blame and accountability. Things will go wrong even in the best organisations! When they do, you’ll hear calls for someone to blame, but try to focus on how you learn and improve. Look to create a safe space so that learning can take place alongside a clear system of accountability. The escalation of that learning into improvement and a standardised approach to quality and continuous improvement will be critical for future success. It takes brave, credible and confident leaders to accept mistakes; this is essential to the creation of a truly learning organisation. If I was to compare how leaders became successful in the 70s, 80s and 90s it was through being very good at running their organisation or service. Health and care services are supporting people of all ages with complex, co-morbid conditions, so your success will be determined by how effectively you collaborate as well as run your organisation. Remember that collaboration is about behaviour, but it is also about trust, and it is certainly about much more than governance. The challenge is not whether we collaborate but how we collaborate. System leaders at a local level having a shared purpose and endeavoring to work together in collaboration sets an expectation for staff that then translates into the right care, in the right place, at the right time for older people. You are human. On a good day, I hope I practice what I preach, on a bad day (we all have them! ), I can struggle. No matter your position, and how great the challenges may seem, never fall into the trap of believing you are powerless, voiceless or choiceless. You are not! 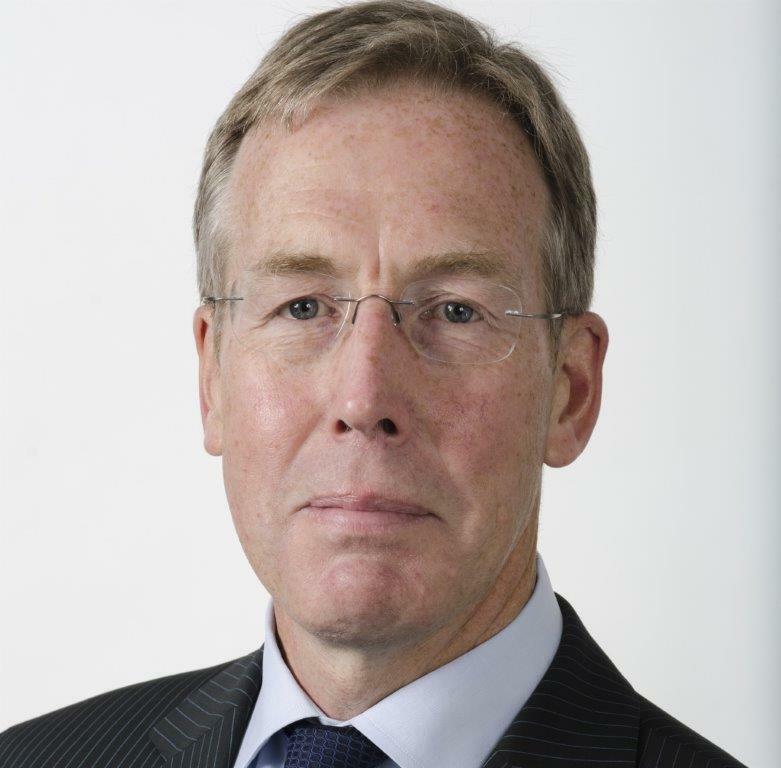 Sir David Behan was chief executive of the Care Quality Commission and is now chair of Health Education England.